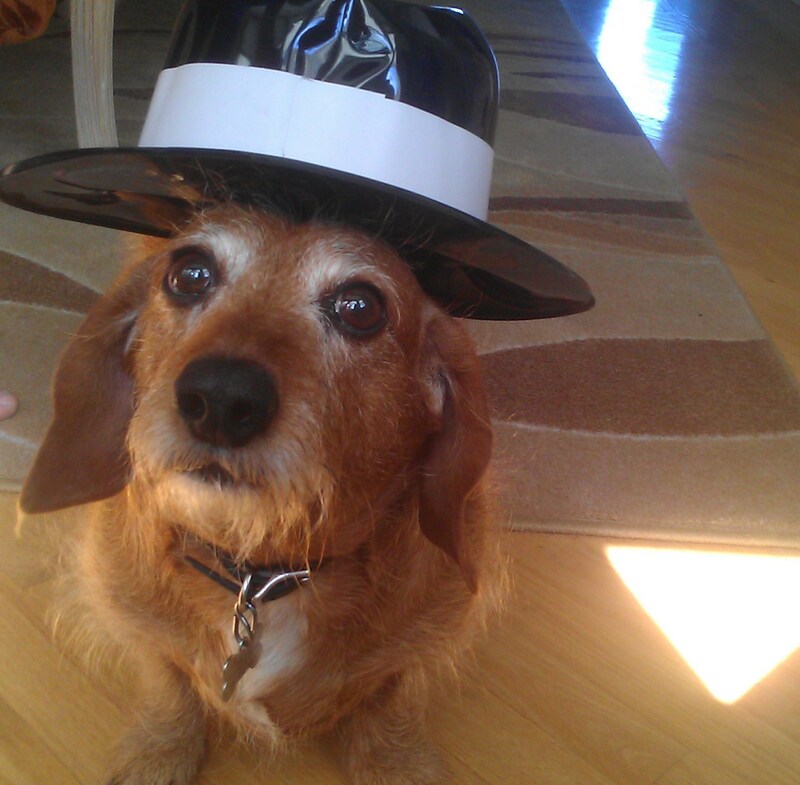 In honor of the final episode of the most brilliant show in history, Breaking Bad, my dachshund Dallas decided to wear his Heisenberg hat as he patiently waits for 9:00 to roll around. Cute pets and Breaking Bad. On paper, it kind of puts me on edge. But in practice? It’s absolutely adorable. Here’s to my homedog Dallas! I’ll be watching it right with ya, buddy! He’s super excited for Felina, as you can tell.